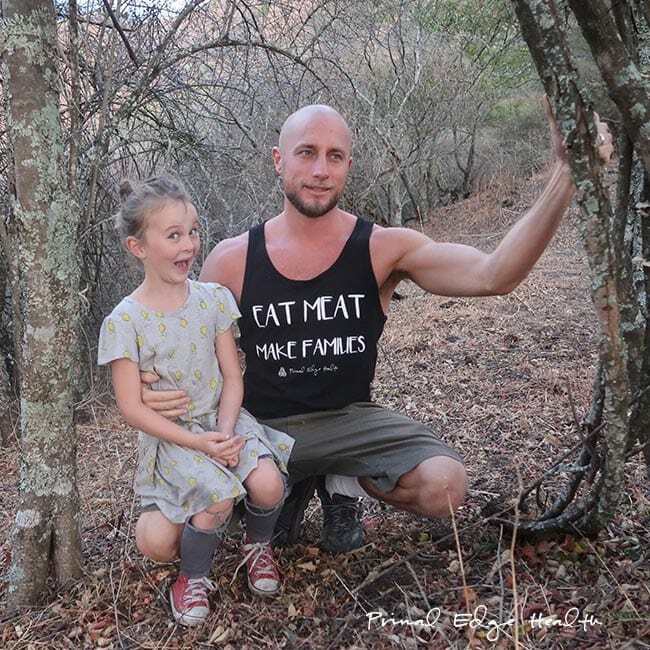 Have you been enjoying our Eat Meat Make Families Streams on Youtube? 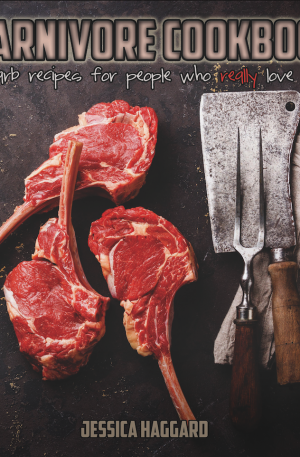 Or perhaps all the #EatMeatMakeFamilies content on instagram? 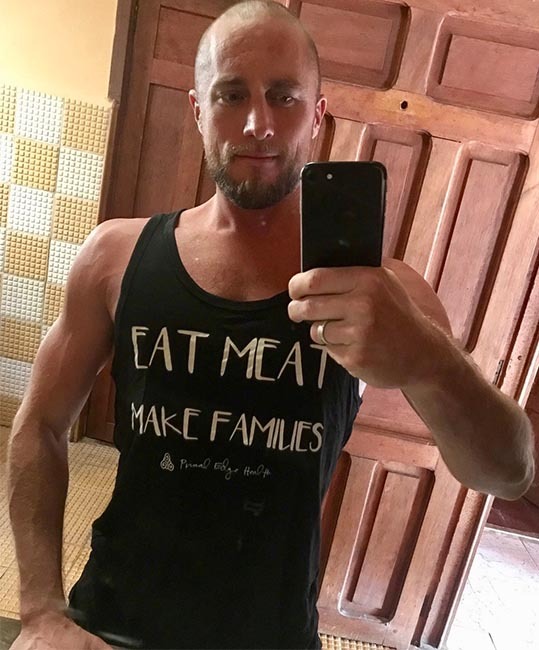 This eco-friendly, American Made Viscose Hemp Organic tank combines hemp and organic cotton for a silky soft feel. The classic style is stylish and comfortable. 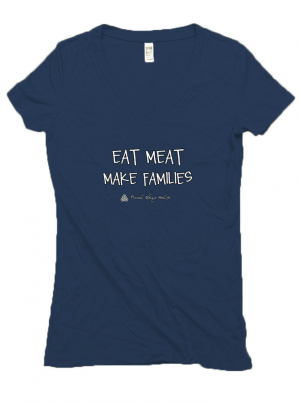 Share a picture on instagram (tag #EatMeatMakeFamilies) or on our facebook page with you in the new duds. 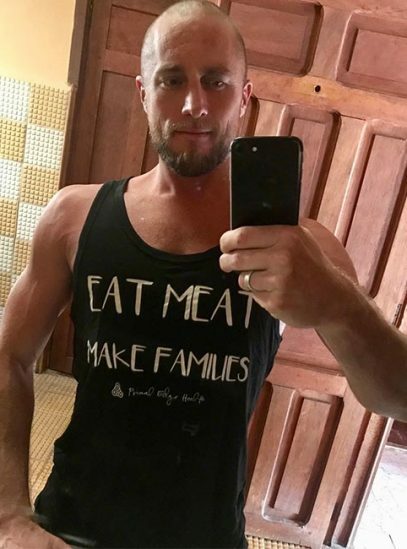 We love seeing the message spread! Our shirts are all custom printed on clothes from ROYAL APPAREL. We intentional choose organic fabrics, made in the USA. 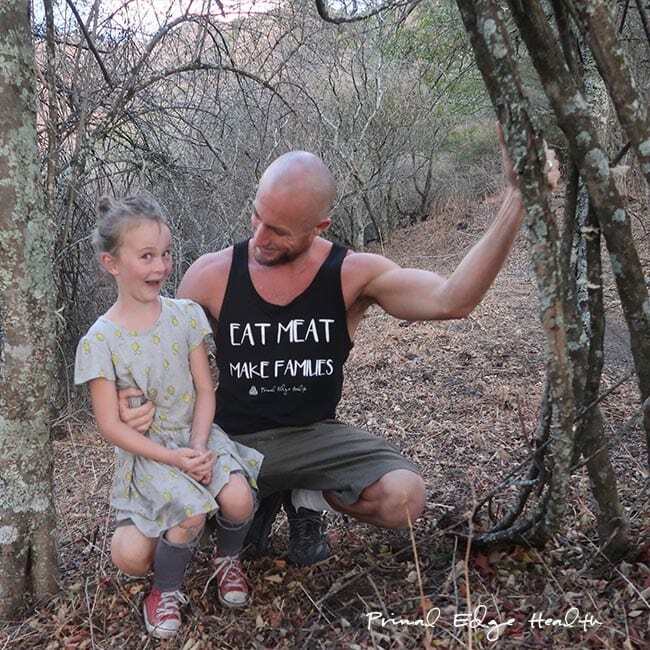 All Primal Edge Health merchandise is more than just “sweatshop free”. 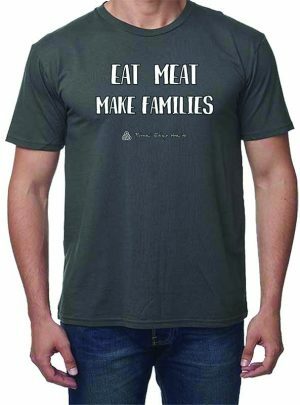 We support American industry and focus on organic and recycled materials, bringing timeless tees to live with our “Eat Meat Make Families” slogan. 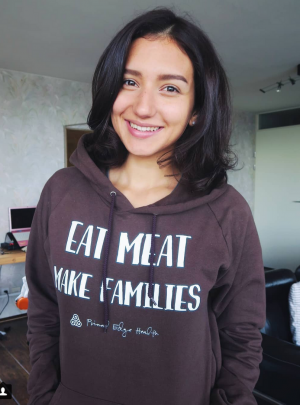 We do our best to eat organic foods and choose to wear organic clothing for many of the same reasons. It wasn’t too long ago when conventionally grown cotton was the only method in cotton farming. This method, however, accounted for over 10% total pesticide use and nearly 25% of insecticides used worldwide! There is no doubt it created a lot of harm for people, wildlife and the environment. Growing organic cotton takes longer, requires more skill and currently costs more, but we think it’s worth it. 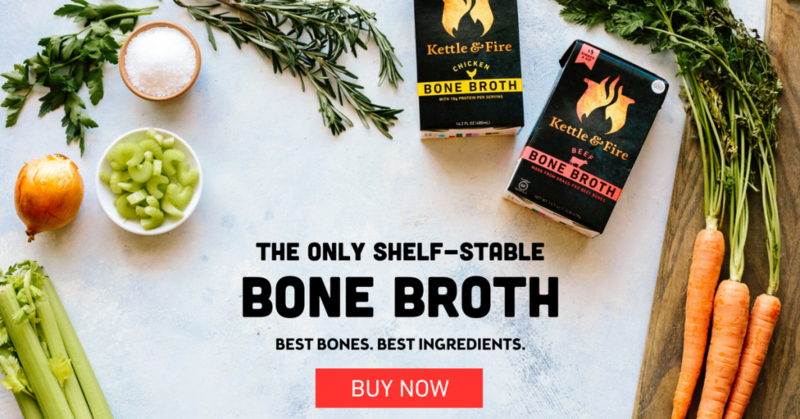 Sustainable grown materials – Bamboo/Hemp both grow exceptionally fast, using less water, naturally insect resistance, and long lasting durability. Water recycling at facilities to reduce consumption and cut down on water treatment and waste water. 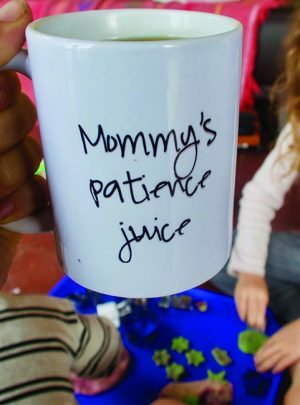 “Mommy’s patience juice” mug for coffee, tea and other special concoctions that empower you, fuel your body and get you through tough moments!